A unique proposal in the heart of one of Glasgow's biggest housing estates. A replacement building to serve the needs of the local large and vibrant pensioners' group. Accommodation includes a drop-in cafe/restaurant; computer room; bar billiards/TV room; meeting rooms; offices and various other sheltered housing support facilities in partnership with Glasgow Housing Association. A framework cottage garden is provided to encourage members to take an interest in its subsequent development. 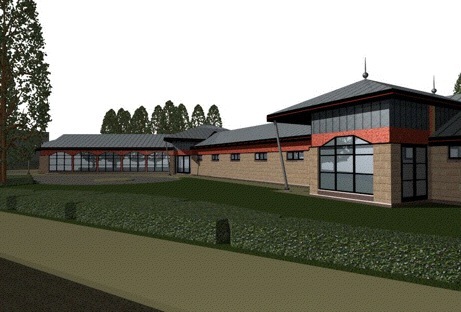 The design seeks to create a new feature building extending to 7,750sq.ft./720 sqm over a single storey; one which will be easily recognisable by its use of quality materials, details and features. It seeks to create an attractive yet practical, fully accessible and sustainable building within which Castlemilk's pensioners can flourish, setting an example to less ambitious providers elsewhere.